The scientific community has long been interested in boron nitride because of its unique properties –it is strong, ultrathin, transparent, insulating, lightweight and thermally conductive — which, in theory, makes it a perfect material for use by engineers in a wide variety of applications. 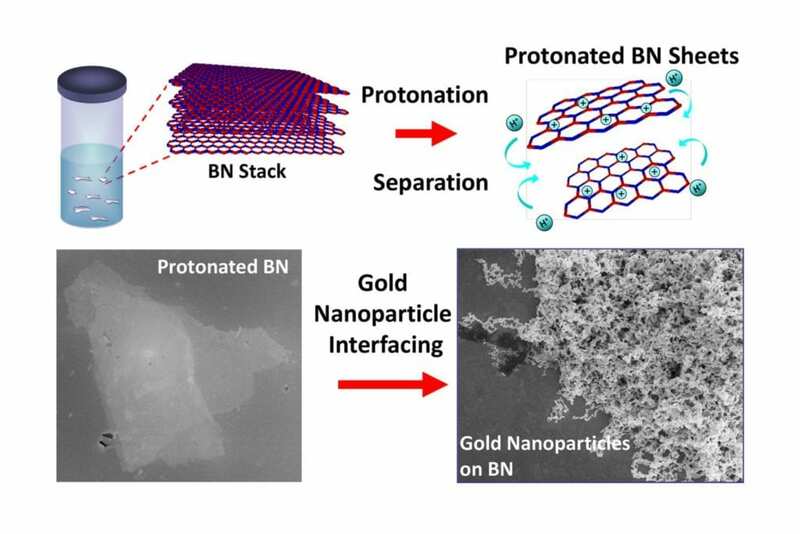 However, boron nitride's natural resistance to chemicals and lack of surface-level molecular binding sites have made it difficult for the material to interface with other materials used in these applications. "We showed that the positive charges on the surfaces of the separated boron nitride sheets make it more chemically active," Berry said. "The protonation — the addition of positive charges to atoms — of internal and edge nitrogen atoms creates a scaffold to which other materials can bind."